Back with more chili. Hope you’re not sick of it yet. I do hope you’re sick of it. Because this is the perfect recipe to change up your leftovers. It was completely spontaneous and happened at nearly 8 o’clock at night. For some reason, this tasted so good to me that I ended up eating a bowl for breakfast the next day. I love me some chili, but the thought of one more steaming bowl this week had my appetite flying out the window. This was perfectly comforting and a great way to use up what I didn’t freeze. And I didn’t know if it was possible, but all of that meat got even more tender after baking. Boil water and prepare pasta according to directions, shaving 1-2 minutes off the cooking time since the noodles are going into the oven. 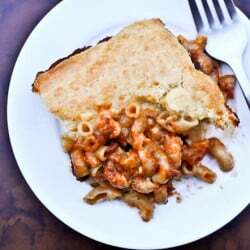 While the pasta is boiling, mix up a batch of your favorite cornbread and grate cheese. Drain pasta. Spray an 8×8 baking dish with non-stick spray. Add pasta to the bottom of the dish, then layer on the cheese and chili. 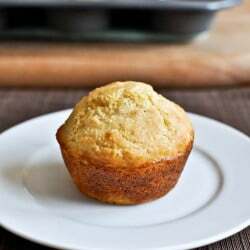 Top with your cornbread batter, spreading gently with a spoon. Don’t worry if it doesn’t reach the edges. Bake for 30-35 minutes, or until cornbread is golden on top and cooked underneath. I used a spoon to lift up the cornbread to make sure it was cooked. Serve immediately. Leftovers are delicious for 3-4 days. Note: depending on what cornbread mixture you use, your cooking time may differ. Just make sure to check it after 30 minutes or so. The cooking time will increase for the bread since it has “wet” layers underneath. OH MY GOSH YUM!!!!!! I bet my hubby would love this. He will not be happy with chili w/o cornbread! OH hi…yeah, just me, here to tell you I’m making chili for company we’re having tonight. But really…I’m making chili to use the leftovers for this recipe. Thursday is going to be delicious. Oh my! I have chili going in the crock pot right now and was not excited about it…then I saw this! My husband is going to love this! Thanks girl! I am thinking my aunt’s jalapeno cornbread recipe will do just awesome with this recipe and my 3-bean vegetarian chili. Delish! Just sent my mom this as she has a pot of leftover chili just sitting in her frig. Thanks! I made this last night with our leftover chili. It was a little dry; I think because it had SO much starch. Next time I’ll probably only do the cornbread or the pasta, not both. I really like the premise though and look forward to trying it again! Oh man… I have some leftover chili in the fridge and I was thinking “eat it tonight or throw it out tomorrow” LOL Chili mac occurred to me… but didn’t sound that exciting. This does, tho…. and I already have everything I need in the pantry or fridge! Thanks for the great idea and recipe, Jessica. Sounds delicious! Thank so much Jessica for great recipe. I can’t wait to try it myself. Just made this and we love it! Thank you! I just made this and loved it, too! I might use a little more broth in my chili or something next time as it turned out a little dry as well. I used gouda cheese and israeli couscous….yum. Pingback: I’m Lovin’ It | Punch It In! what’s not to love with this meal! pasta, cheese, chili, and cornbread?!? yummy in my tummy! Oh my goodness! I want to try this! Do u have a chilli no bean recipe?. My husband can’t have beans and I got a real picky 5-year old who doesn’t touch beans at all. 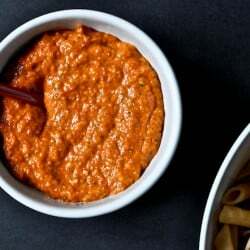 and I came accross this recipe! We decided to try it last night and it was amazing!!!!! I wish I had made a double batch, it was so good. The only thing I did different was I added some fresh green onions on top and sprinkled it with some more cheese before popping it in the oven. This will definitely be a repeat at my house! Tried this tonight and loved it! My family thought it was too sweet with the cornbread so next time I’ll probably make some sort of dumpling on top. They said to use bisquick (gag) but I’ll think of something!